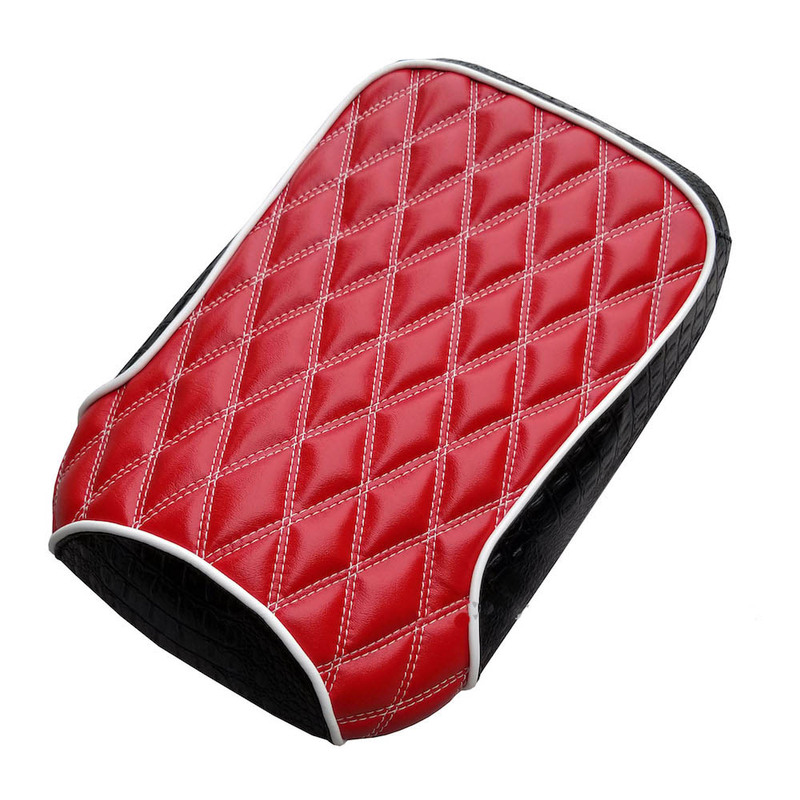 Our hand tailored Red double diamond seat cover will look amazing on your Honda Ruckus. 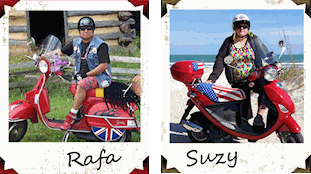 Shown in the 3/4 cut style, you can pick your thread color, piping color, and sides material. Popular choices are in the options menu, but don't hesitate to let us know if you want something different. Made in Pennsylvania. All of our materials are UV stable and will not fade. Please note! Our materials are waterproof, but seat covers with padding, such as the tuck and roll, and diamond stitch designs should be covered if you expect snow or heavy rain to keep the seat cover dry. 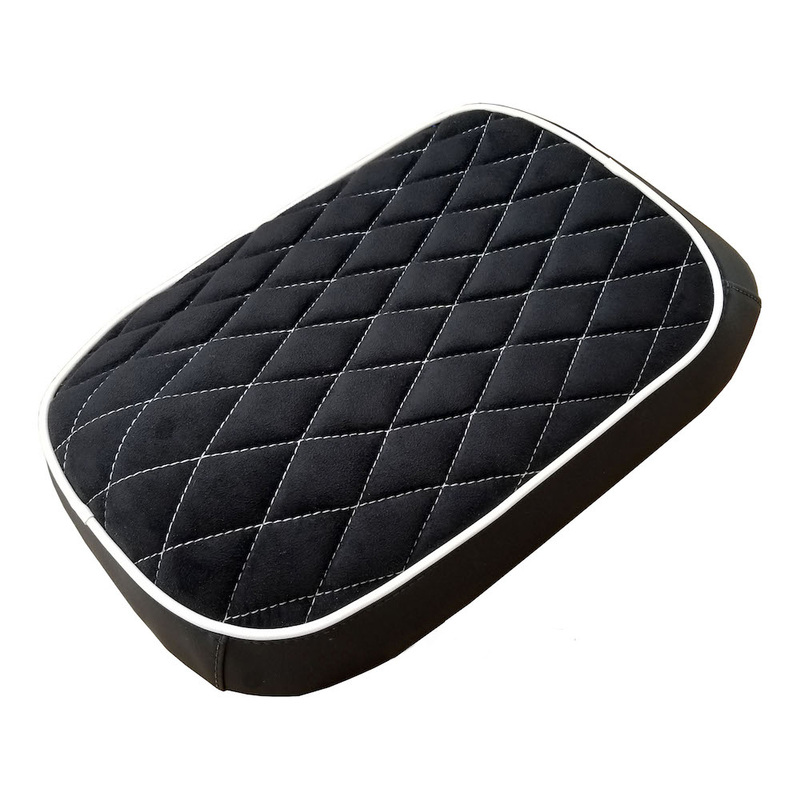 A discounted rain cover is available with the purchase of this seat cover. No staples or tricky assembly is required with our seat covers. No tools of any kind are needed, and you can easily remove the cover whenever you like. People will think you had your seat upholstered, because the way we tailor the seat covers gives them a beautiful fit and finish. See our installation link above to see how easy they are to install!